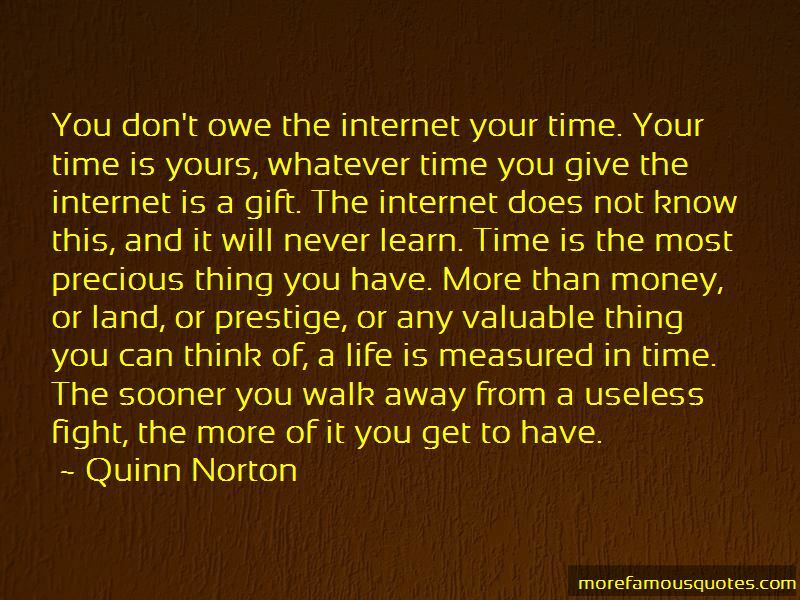 Enjoy the top 3 famous quotes, sayings and quotations by Quinn Norton. 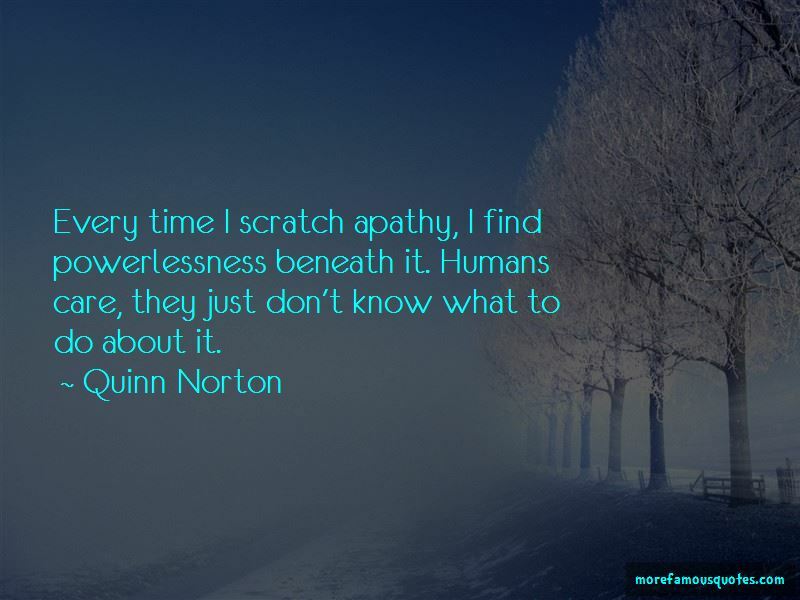 Every time I scratch apathy, I find powerlessness beneath it. Humans care, they just don't know what to do about it. 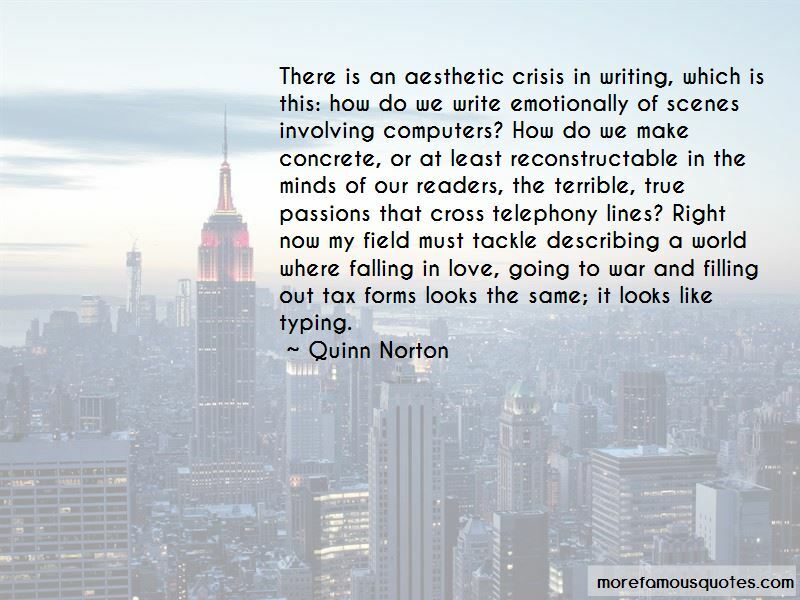 Want to see more pictures of Quinn Norton quotes? Click on image of Quinn Norton quotes to view full size.